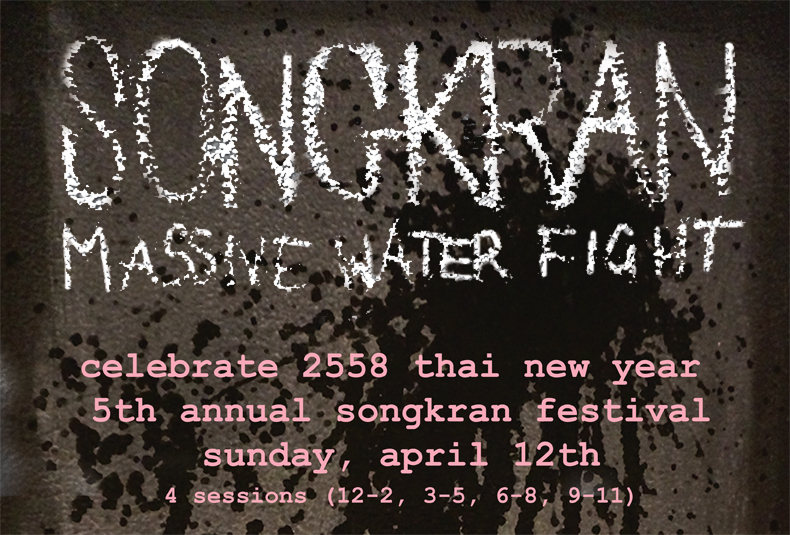 Songkran is the celebration of the Thai New Year. During this time the tradition goes that we all pour water on each other as a symbol of cleansing and ridding ourselves of any bad from the past year. With this we start the year all fresh and squeaky clean. Celebrate Songkran with Khao San Road and our first sister restaurant Nana, as we host a meal and indoor waterfight to bring in the new year! price: $40 per person, includes food (see below) and waterfight! We will have food and fun as we party at Nana to bring in the year 2558 A.B. ***!